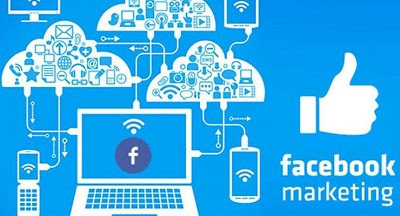 Facebook Marketing 2019 | Facebook Marketplace: Looking for a guide on Facebook Marketing? Just as human beings evolve with their desires and wants so does marketing trends evolve year in year out. The Facebook social media platform since it was inception in 2004, have introduced some marketing trends that have increasingly influenced how digital marketers behave. The video is still an integral part of Facebook marketing in 2019. Various studies and statistics have shown that video is still the king of content. Mark Zuckerberg also affirms that Facebook users watch an average of 100 million hours of video every day. Also, it has been found that an unfathomable amount of Facebook videos consumed stands at 135% which has more organic reach than photos. Thus, marketers can plug into this, by adding Facebook video to their digital marketing plan in 2019. The average Facebook live engagement has been discovered to stand at 178%, which is higher than their average post engagement. With the average reach of Live posts increasing more than double. Facebook Live videos, enables real-time interactions between publishers and audiences, which has facilitated its success so far. The Camera Effects Platform and Facebook Spaces is evolving to lead the way towards an exciting new realm of interactions. It has been admitted by Zuckerberg, that what phone cameras are currently doing is just primitive versions of what AR experiences will eventually be. - Object recognition: This feature enables users to use real-time visuals to have a new form of interactions with images. GIFs do not require the same amount of investment, given to videos, carousel and lead ads. Also, existing video assets can be repurposed as Facebook GIF ads, making it win on repeat. Giphy has over 100 million daily users, sending 1 billion GIFs each day. The 360-degree cameras provide brands with tools to tell stories from new vantage points. Shows can be explored from all vantage points, instead of just viewing photographs from behind-the-scenes or on the runway, as if you were there.